One of the long standing tenants of Bukit Timah's Grandstand mall, this 180-seater serves 42-day-old Silver Hill Hybrid ducks, said to be the meatier poultry-of-choice for London's fêted Peking duck restaurants. 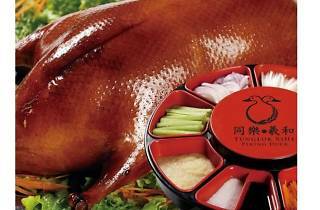 The house specialty here is of course, the Peking Duck, which they prepare the classic Beijing way. 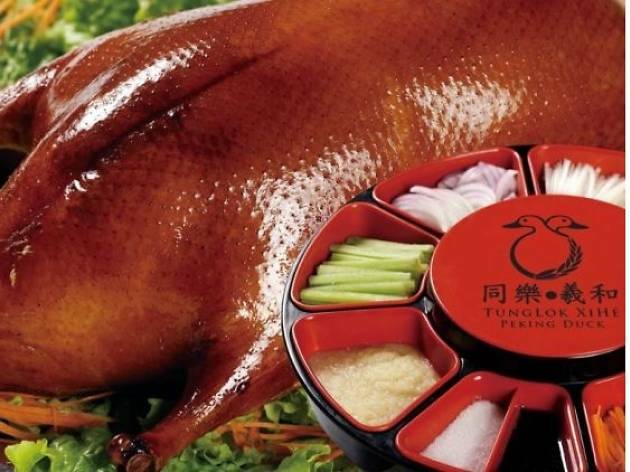 The ducks are cured with spices at five degrees for two days, brushed with a liquid of red dates and spices, and fired at 200 degrees celsius to give their skins the signature crisp. The cooked duck is then served three ways – with its skin dipped into blueberry sauce and popping sugar, the breast with mustard or black bean sauce, and the thigh with condiments from the restaurant's Eight Treasures Box.